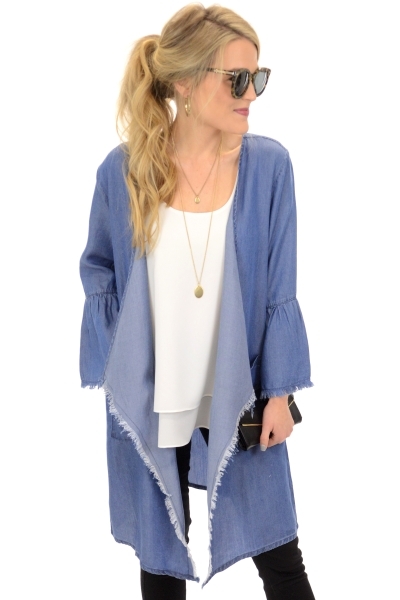 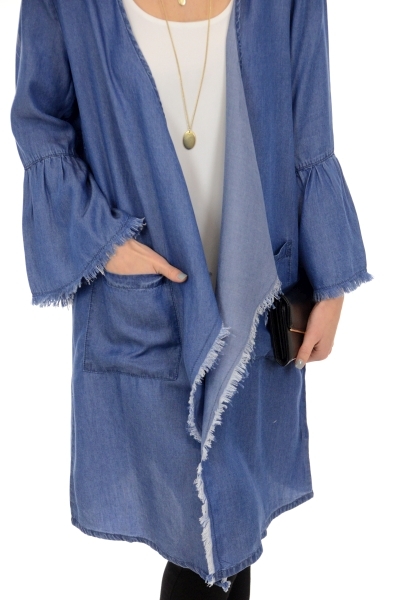 This is not your average denim jacket! 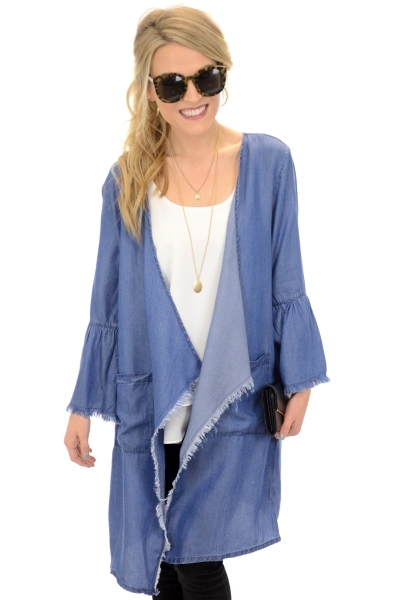 Fringed edges gives this topper an edgy and modern look. 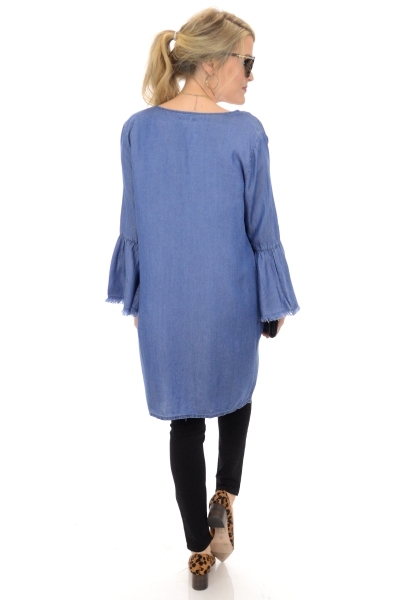 A flowy front gives it a relaxed look, and bell-sleeves make it extra adorable. 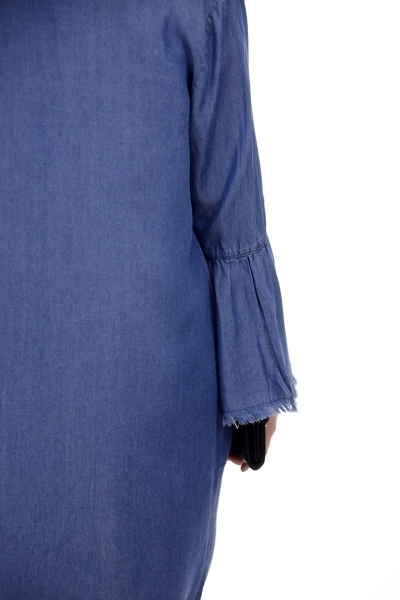 Fabric is a breezy 100% tencel.